I mentioned last time that I've been making lots of quilts this year. 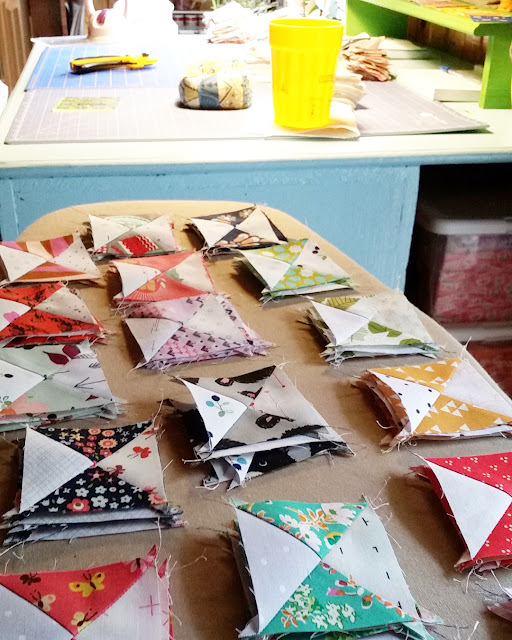 I am always making quilts but I've made about twice the amount that I usually do by this time each year. It's that "flow" thing I talked about. It's such a good stress reliever. And 2018 has been heavy on the stress as both of my parents have some pretty hefty health issues going on. I don't really like saying that out loud here for many reasons. 1) I don't really want/need/like the associated sympathy that goes along with such pronouncements; 2) that is their story to tell, not mine; 3) telling the world makes it all the more real. So, I'm just going to talk about this particular quilt, 'kay? 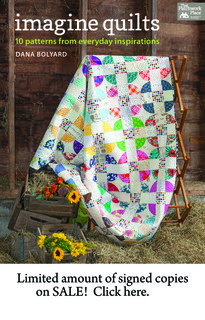 The Ohio Star quilt block is an all time favorite of mine. 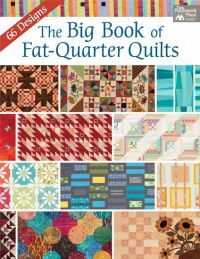 Long before I was a quilter, I appreciated the graphic nature of the block and have known it's name probably since I was 20 years old. 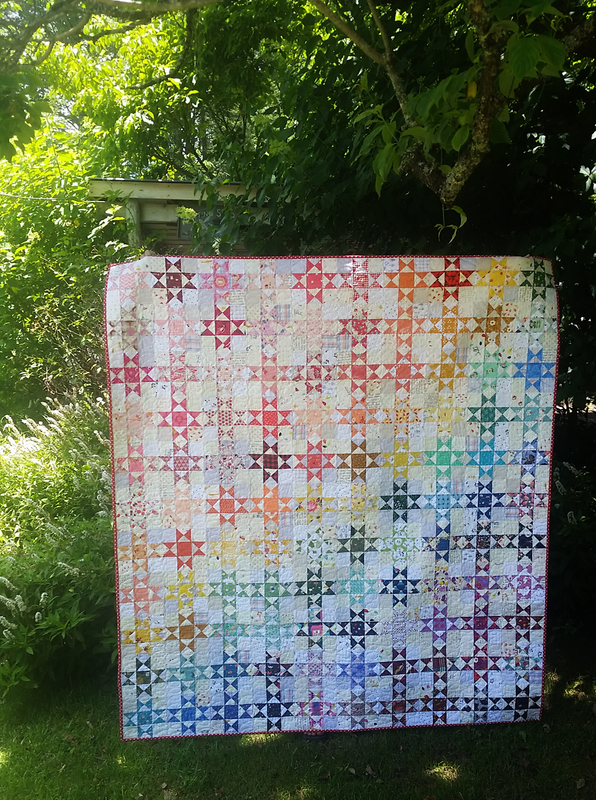 I figured it was high time I made an entire quilt with nothing but Ohio Star blocks. So I did. In a rainbow of scrappy colors and prints. And then I arranged them in rainbow order across the quilt. 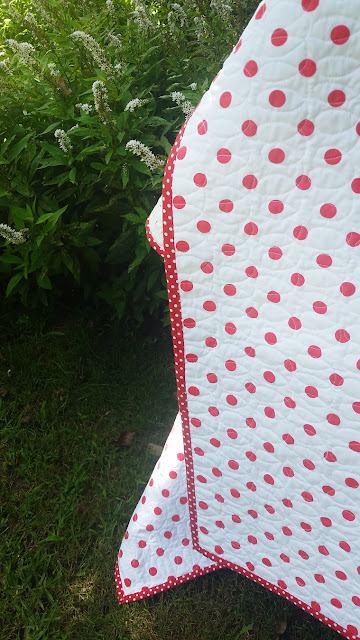 I chose a vintage red polka dot sheet for the backing and quilted it with loads of tiny loops. 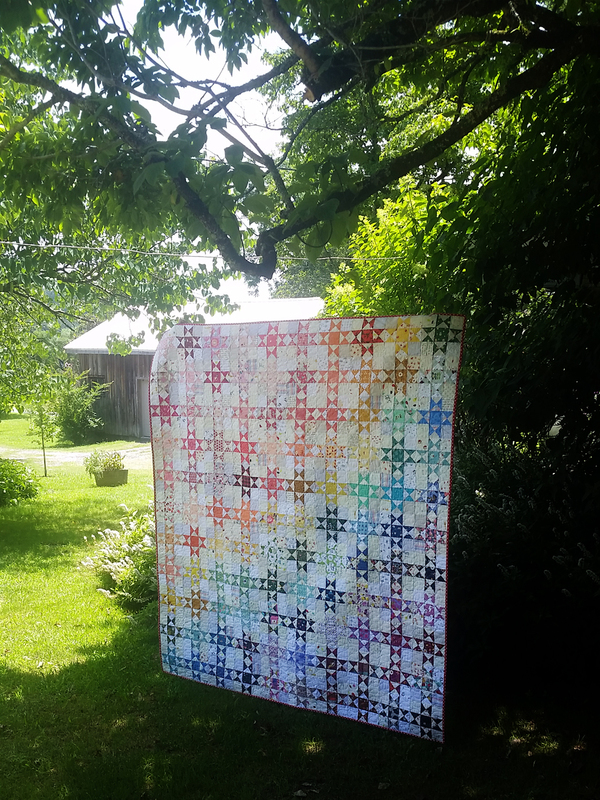 It's truly one of my favorite quilts I've ever made. Wowza, that is beautiful! 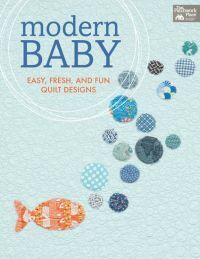 Love the polka dot backing, too. 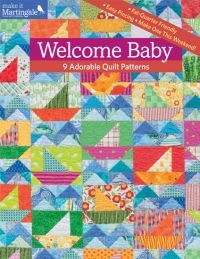 That quilt is really quite lovely. It might be my favorite too. Absolutely fabulous! I am a huge fan of that block, but don't see it anywhere in my near (or far) future, so I will gaze upon yours whenever I need a fix. Great job and ohmy, you have been busy!! Love it. 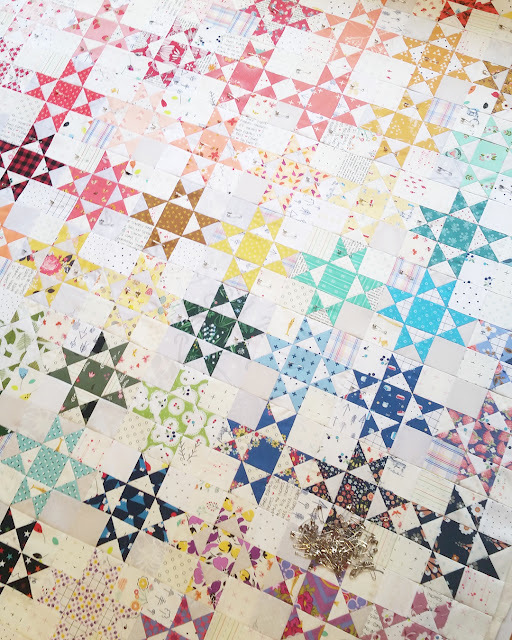 You seldom see an Ohio star quilt like this with no sashing. It's beautiful! 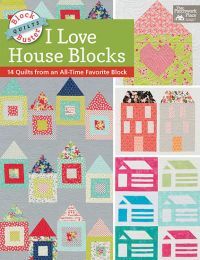 Classic block and ROY G BIV, great combo! Aging parents are hard to watch. Hope everyone gets well. So Beautiful!! 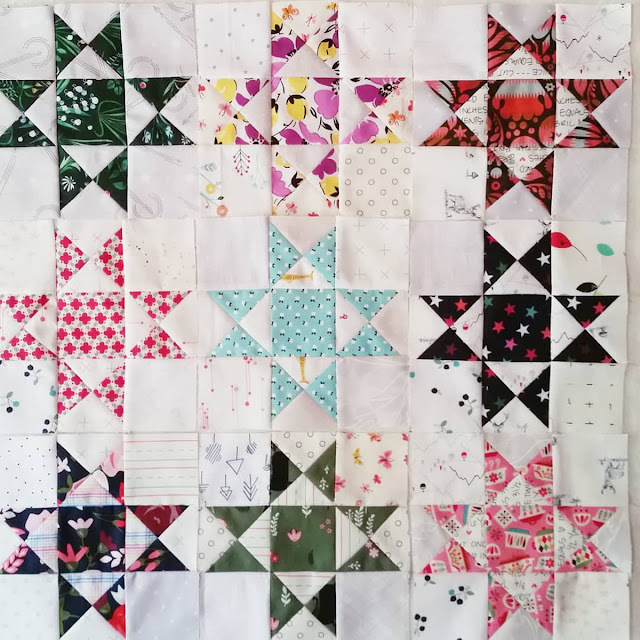 I love the Ohio star block, and this is spectacular with its scrappiness and no sashing. Love it!